Wow. What a deal for such high accuracy. I appreciate all your effort and consistency in producing great blog entries. I always look forward to a new post in my RSS feed. 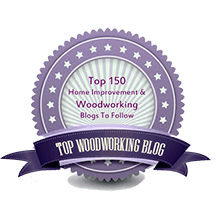 Thank you for all your insight in producing and sharing meaningful woodworking skills for us all. I would like to wish you and all your loved ones a Happy New Year! I’ve ordered a few things from Taylor tool works over the years, with decidedly mixed results. I have a double square that was listed as a second, with a premise of only cosmetic blemishes, and it was significantly off square checked against my friend’s cylinder square (after finding it didn’t match my older starrett I wasn’t sure how much to trust the starrett itself, though it was clear the one in question was off from the draw line, flip, draw line, compare check. Old one was still spot on, turned out) . Can’t recall how much but was way too much to use as is, and I had to shave the lands to true it. 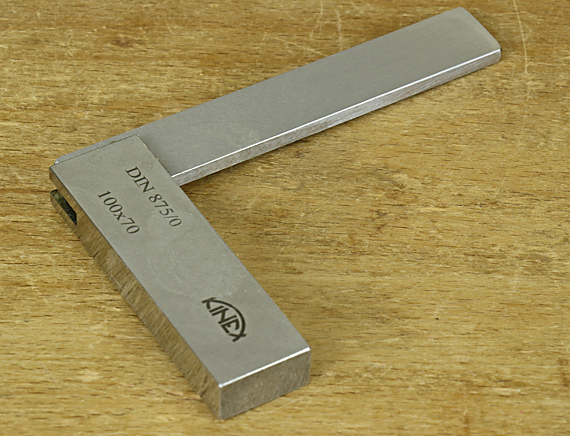 I have them another try with a machinist square, not blemished, and was sent one that literally had not been made right – obviously never inspected. In one instance, parallel faces were not even parallel, like it wasn’t give the full machining. I would like to assume it was a rare instance of something slipping through the cracks, and he took it back with full refund just as the listings said, but offered zero comment or explanation when I asked about the issue, simply gave refund. This left me with the sense that you get what you pay for after all. There’s a reason precision is not cheap, and while for woodworking you don’t need extreme precision, neither item was a viable tool as shipped, and neither met the listings’ claims. Hopefully, and the reviews seemed to suggest this when I last looked long ago, that it’s a matter of bad qc rather than overall bad manufacturing, but check what you get. You did not mention the brand of either square that you bought, so I cannot draw any inference about Kinex squares from your comment. Regarding the first square, you say that you had to “shave the lands to true it,” so I guess it was an adjustable square. Taylor does not sell an adjustable Kinex square. It’s good that Taylor refunded your purchase without question. They have a 100% favorable rating on Amazon. I have no relationship with Kinex or Taylor.